As internet regulator ICANN continues its crackdown on internet crooks, new regulations and procedures have now been launched to clamp down on imposters, crooks and cyber-nasties registering domains when they’re up to no good! We’ve put together the key, important information that you need to know when registering or updating your generic top-level domains (gTLDs) to stay in line with ICANN’s new rules. So, effective immediately, the registrant’s contact details (your details) must be validated when buying the domain name, transferring it or making any changes to the registrant’s first name, last name or email address. This verification helps to ensure that any changes or purchases are made by the real person, and not a pesky imposter. If you don’t respond to the verification within 15 days ICANN will suspend the domain and place it on ‘Client Hold’ – rendering the domain name inactive. But don’t worry, reminder emails are resent on days five, 10 and 13 within the 15-day validation window and the messages on days 10 and 13 are sent to the Admin, Tech and Billing contacts as well – so even if they land in your spam folder or you are on holiday for a week, someone should be able to respond to the verification. These verification emails will simply ask you to review and confirm the information on the website https://approve.domainadmin.com. This same process will take place if a ‘WHOIS Data Reminder Policy’ (WDRP) notice, 30 day expiration notice or five day expiration notice bounces. It’s therefore really important to ensure the WHOIS data you, or your customer provides is correct. 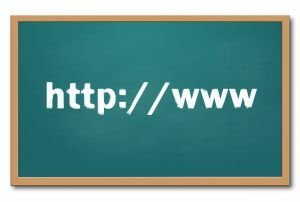 The WHOIS database stores the details of domain name registered users or assignees, which you must keep up to date, in line with these new regulations or risk your domain becoming inactive. There is no impact to existing domains as long as they are not modified and WDRP/expiration notices do not bounce. Good news though, for any gTLD’s registered with UKFast (which you can buy here by the way); when viewing a domain, extra information will be presented to you to let you know that the registrant contact has not been validated and we have the ability to resend validation e-mails again. If you have any concerns or questions about the new regulation or new domains give your account manager a call – we’re always here to help!